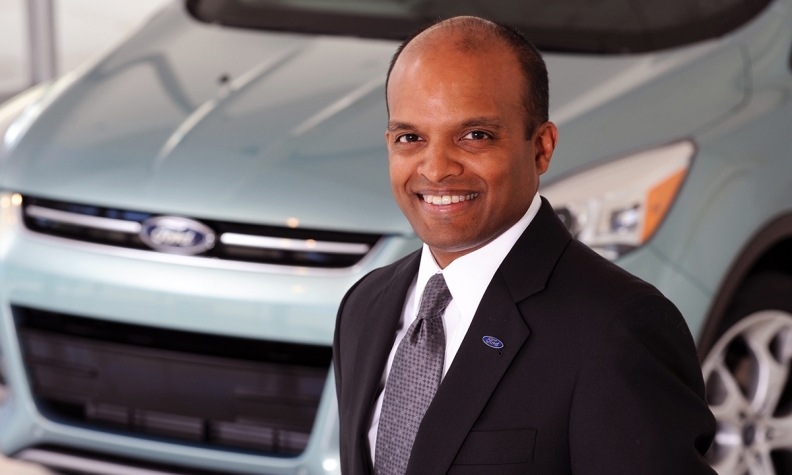 Before being named head of North America in May 2017, Nair was Ford's head of product development and chief technical officer. Raj Nair, the Ford Motor Co. executive ousted earlier this year over unspecified "inappropriate behaviour," has been named president and COO of Multimatic Motorsports, the Canadian racing firm confirmed to Automotive News on Friday. Multimatic works extensively with Ford, building the GT supercar — which was created while Nair was Ford's head of product development — near Toronto. Road and Track reported Nair's hiring earlier Friday. The appointment was effective May 7. "Raj brings extensive knowledge, perspective and skills in engineering, manufacturing, management and overall auto industry experience to Multimatic," Michael Guttilla, the company's head of sales and marketing, told the publication. "These qualities will help Multimatic attain another level of performance for our customers." Nair, 53, abruptly left Ford in February after an internal investigation found that "certain behaviour by Nair was inconsistent with the company's code of conduct," the automaker said. Ford has not divulged the nature of the complaint, which a spokesman said was submitted anonymously through a 24-hour company hotline. Ford said it had not previously received any such allegations against Nair. Before being named head of North America in May 2017, Nair was Ford's head of product development and chief technical officer. In addition to the GT in 2016, he oversaw the launch of the the aluminum-bodied F-150, the 50th-anniversary Mustang and a plethora of other prominent vehicles. Nair took delivery of his own GT less than two weeks before leaving Ford. Nair started at Ford in 1987 as a body and assembly operations launch engineer and held various positions on more than 11 vehicle programs in 13 assembly plants, according to Ford's media website. He also worked on assignments in Europe, South America and Asia Pacific.